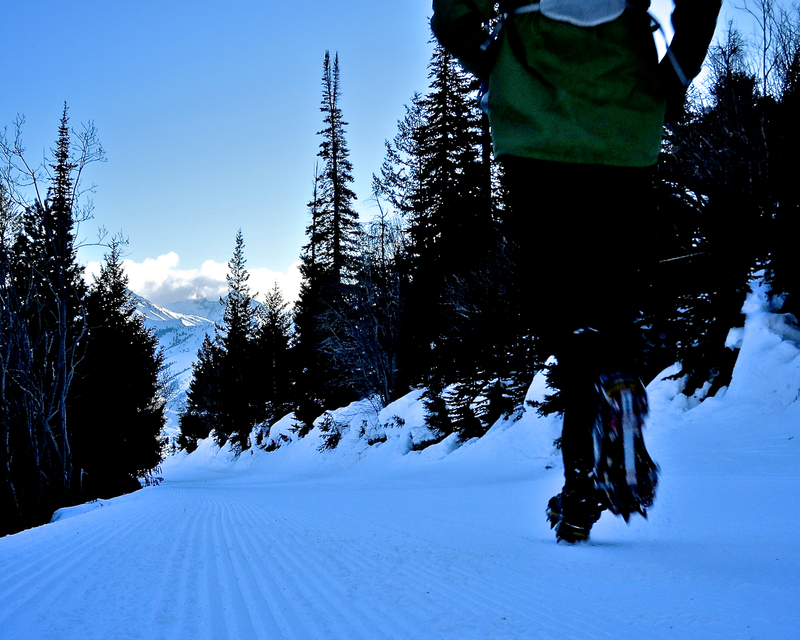 Run Junkie: Of Running Crampons, Heel Strike, and Short Shorts. Best advice I was ever given (just prior to LT100): "Don't go out too slow either, just run a natural pace, because the more you fight yourself, the more damage you'll do." I've taken it to many other aspects of running (and life) as well, I'm a bit of a heel striker as well, but if I focus too much on trying to do something "unnatural" I end up more beat up than anything else. having a versatile foot strike is important. i think too many folks are convinced they need to work hard to NOT heel strike without taking into consideration your balance with regards to the terrain and the feedback coming underfoot. it's why trail running is not road running. if we all ran on the track at a consistent cadence and velocity, i'd be much more of a consistent midfoot striker. trails, sometimes the heel is in play, sometimes the midfoot, etc. keep your drills in play for overall foot healthy, so if your on your forefoot for a 30 minutes climb, your not over-fatigued and breaking down when you resume your normal gait cycle. Same thing for long downhills and strengthening the posterior tibs, etc. like patrick said, just run naturally, whichever that is for you in the moment. I work with the full compliment of striking in training. In an ultra, no matter how strong and fast you are, you will touch down with all parts of the foot due to muscle fatigue, cramping, terrain and angle changes, etc. By consciously switching it up in training, I can build up the muscles associated with all striking patterns, so that in races I am covered when the form breaks down. Nothing wrong with a little heel striking. It matters much more where your knee is when the foot comes down. As long as one is not "braking" with the knee behind the foot, then all is well. Scott writes in his reply: "Same thing for long downhills and strengthening the posterior tibs, etc." I would like to know more about that.